If you are thinking about breeding Border Collies, you probably know that you are about the breed the smartest dog breed ever. The Border Collie is a graceful, intelligent and athletic dog. It is known for his incredible herding instinct as well as for its mind-boggling agility. Border Collies also tend to be extremely loyal and whether you are looking for a working dog breed or an agility breed, the Border Collie must be at the top of your list. They excel at everything they do in the ring, in trials, and on the field. Given their obedience and responsiveness to training, Border Collies also make for great police dogs as many countries are starting to test them. They are also incredible companions for blind people. Oh and for the anecdote, a Border Collie was featured in the famous movie Babe! 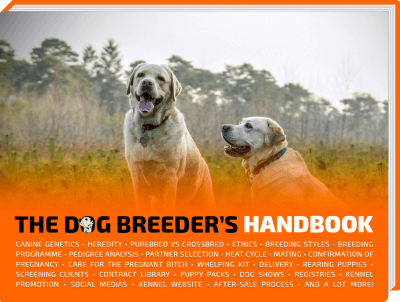 In a nutshell, wondering how to breed Border Collies is very normal; and you will not regret it! This article will help you with the ins and outs of becoming a Border Collie breeder. The roots of the word “collie” are hotly disputed. 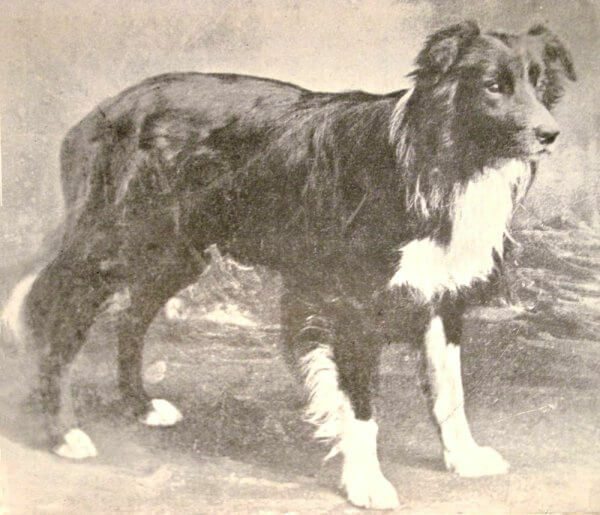 The term “Border Collie” itself is believed to have been used for the first time around 1915 in the United Kingdom. Among the myriad of sources that the term is attributed to, one of the most plausible explanation seems to be that it is derived from the German language. The term kuli, which has been argued to be the basis for the term collie, translates to a worker in English. When we consider that the Border Collie is a working dog breed, then this seems to make perfect sense. Another plausible origin of the term is the fact that the Border Collie is believed to have its origins in a place called Northumberland in England. As some of you may know, this is a place that is on the border between England and Scotland. Therefore, this explanation is also very plausible. It is virtually impossible to be certain about such things because of all the time that has passed. However, the mountains between near the border of England and Scotland, as well as the extraordinary herding instinct of the breed lead everybody to believe that Northumberland is the birthplace of the Border Collie. The breed can be traced back to one primary source, The Old Hemp, who is known as the Father of the Border Collie breed. The Old Hemp is attributed with staggering feats and all pure Border Collies alive today can trace an ancestral line back to the wonderful Old Hemp. Picture of The Old Hemp, the original Border Collie stud. Wiston Cap is another associated breed which is believed to have influenced the Border Collie, and the Collie breed, with his bloodline appearing in most bloodlines of the modern day Collie. The Border Collie has an intrinsic sense of herding; therefore, it was the ideal herding dog for livestock. Historically, the Border Collie has gained in prominence because it requires minimal human guidance and is known for its high performance. Border Collies have the ability to toil long hours which makes it one of the most preferred working dogs in the world. Every dog breeder must pay due attention to best practices and it is no different with breeders of the “Border Collie”. 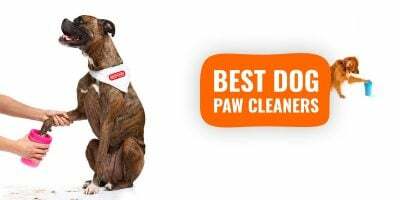 There are broad rules you must follow, without which you will be unable to get the best out of your Border Collie and this will end up having a detrimental effect in your relationship with your dog. The Border Collie breed is allowed to have very different coat types, coat colors and patterns. It can be difficult to understand as we’re often just aware of the black and white border collies, but there are plenty more. Merle — more of a pattern than a color as you can have red merle, blue merle, slate merle, sable merle, etc. 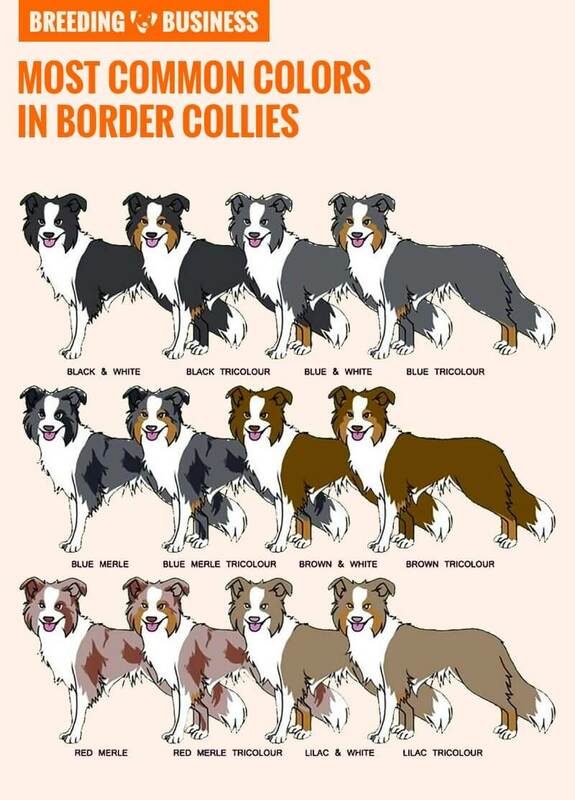 In all honesty, there are even more color combinations, as well as coat types, within the Border Collie breed and it’s would be hard to list them all. The BC Museum is a good place to read more about the various coats in the breed. Such an enormous number of coat variations is because the Border Collie has always been, first and foremost, a working breed. Therefore, appearance and looks generally mattered very little, if at all. With time, showing and agility lines have gained in popularity to the point of being the “mainstream Border Collie” today, with all combinations now part of the breed. Certainly not the biggest dogs in the world, Border Collies fall somewhere in the medium-sized category. The average height of a Border Collie is about 20 inches; the average weight is about 30-45 pounds. Male Border Collies do tend to be bigger in size than their female counterparts, but not by much. Equally, the female Border Collies are also slightly lighter than their male counterparts. The difference in both height and weight between the male and female Border Collies is not significant enough for them to be grouped into different categories. Usually, vets will leave the choice of whether or not to perform a C-Section up to you unless it is an emergency and C-Section has to be performed at all costs. Always ensure that you do have a bit of extra money when your Border Collie is pregnant just in case you end up having to go for an emergency C-Section. The first thing that breeders need to bear in mind when it comes to Border Collies is that they are not your typical cuddly dogs that you can just keep at home all day. Furthermore, the odd short walk thrown in three times a day won’t cut it either, unless trained from a very young age. Border Collies are extremely active and require a tremendous amount of activity for their own natural well-being. They need to be trained regularly and it would be prudent to start their training as early as possible. Indeed, professionals have shown that dogs respond better to commands, and training in general, when it is done at an early age. Intuitively it does make sense – even human beings are advised to learn languages and skills at a young age as it tends to be easier to pick up things at that time in general. Another comforting factor from the perspective of someone who is looking to breed a Border Collie is that it is not even close to being a high maintenance dog. You do not have to vigorously brush it day in and day out. However, weekly brushing is ideal especially during the shedding season if you have a rough-coated Border Collie. Frequent baths are not necessary unless you work a lot outdoors with your dog. For everybody else, bathing your Border Collie once every few months should be more than adequate in most cases. In between baths, the use of dog wipes can come in very handy! Ear cleaning and toothbrushing of your Border Collie should be given considerable importance. This is where bacteria are most likely to form and cause your dog to fall sick, one way or another. Given the very active nature of Border Collies that we mentioned earlier. Therefore, it is imperative that they are given a diet that is high in protein and healthy fats (omega-3 and omega-6 fatty acids) in order to maintain their muscle mass. Of course, an unbalanced diet high in protein could cause more harm than good, therefore a balanced diet is important. The exact needs will differ from dog to dog depending on each individual’s activity level and metabolism. Because Border Collie are naturally up for all activities, as demanding as they can be, it is important to provide from an early age a good amount of supplementation to prevent dog arthritis at a later stage in life. This is the best way to strengthen your Border Collie’s joints and bones. The average life expectancy of a Border Collie is about 12 to 15 years. 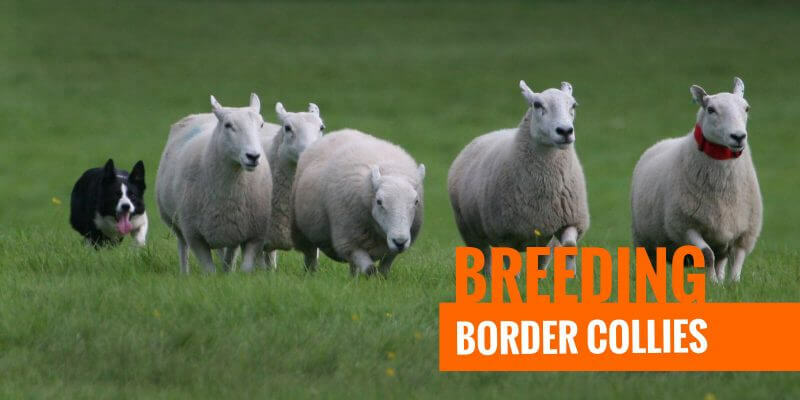 This life expectancy could be cut short by multiple conditions, therefore, please ensure that you get the necessary health checks and clearances before breeding your border collie. The Collie Eye Anomaly is one of the worst possible conditions that affects Border Collies. Although the risk rate is not overly high, there is virtually no way to detect this condition. If your dog shows signs of blindness, take it to the vet as soon as possible. The breed is also vulnerable to Idiopathic Epilepsy, a rather common inherited medical condition in Border Collies. The typical symptoms generally appear between 1 year and 4 years of age; usually through visible twitches, seizures, or convulsions. Such fits can be worrying and you need to address the situation with your vet from the first time you notice them. 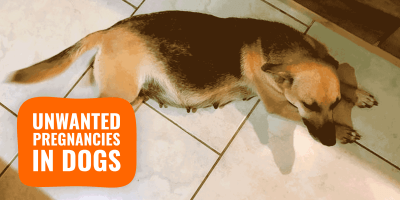 Although the dog’s welfare is rarely the core of the issue, such seizures and convulsions may put the dog in a harmful situation, and is often terrorizing the dog, who now lives in fear and anxiety. Hip dysplasia is somewhat prevalent among Border Collies, especially when breeders don’t score their breeding stock. Hip and elbow dysplasias are almost impossible to eradicate, and can often only be soothed using medication. 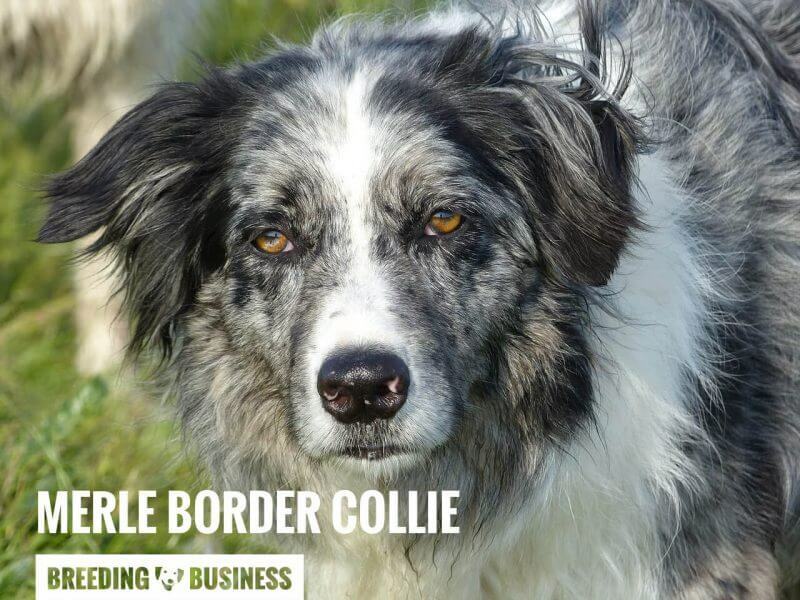 As mentioned earlier, historically, the Border Collies were used primarily as a working breed. Their innate sense of herding made them the most popular sheepdog. In fact, so intrinsic is a Border Collie’s herding mentality that it has tendencies to herd cars, children, and anything that is moving as a group. In a nutshell, it was seen as the perfect farmer’s dog. However, this is rapidly changing. Although the instinct of a Border Collie paired with its loyalty will always make it a great working breed, more and more dog breeders have preferred to use agility training methods to train their Border Collies. As you have seen earlier, Border Collies are incredibly smart, fast, and reactive. This makes them ideal for agility training. In addition to that, Border Collies are highly intelligent which means they can find their way around obstacles which is so essential when it comes to agility breeds. Such intelligence is often thought to have originated after generations of selective breeding, when farmers wanted very smart dogs to work with at long distance. Simply put, Border Collies have gone from being seen as a herding breed to being seen as an agility breed. You will not see a list of the best agility breeds without finding a mention of the Border Collie somewhere at the top (generally first.) 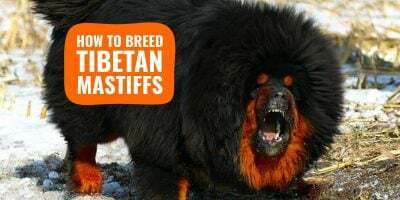 This is not to say that they are no longer used for herding, but there has been a shift in their overall usage to agility training and in their image seen as an agility breed. Talking about the Border Collie can never come to an end, especially if you are someone so fond of these awesome dogs. About The Author — Sam here from DiamondPup. My life revolves around nothing else but dogs. I read and write about them. I am afraid to say, at times, they are the air I breathe them! Kido! But honestly, I am super eager to learn everything new about dogs. Life without them is just not worth living, at least for me! I am in the republic of Botswana and I interested in dog breeding. I am so much impressed by the character of the Border Collie. I want to know how I can find a couple to start breeding in my country. Unsure whether there are quality lines being produced and worked on in Africa, but you could plan for some imports perhaps. Is it wrong to leave a female in with a male to bring her in heat or will it even bring her in?